Some transit riders spend up to 20 hours A WEEK just getting too and from work. That equals half of a 40-hour work week! That’s just not right. RIDE’s work has spurred the passage of a great plan to fix this issues – the RTA’s strategic mobility plan. 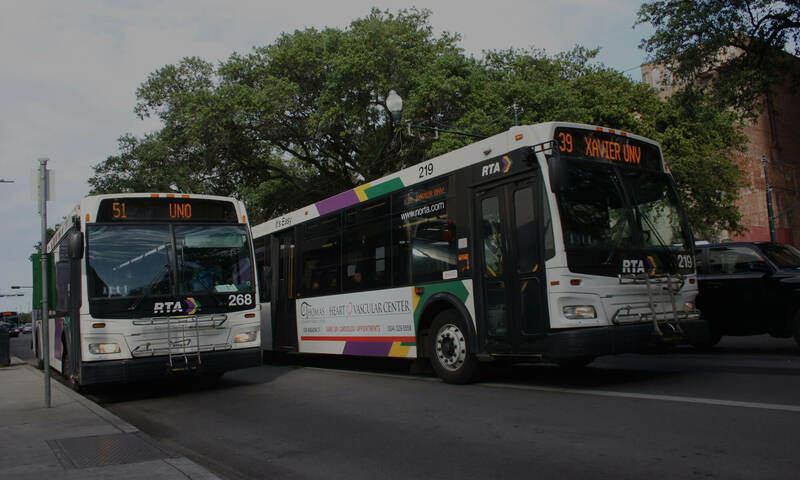 If the plan is implemented, New Orleans region residents have the opportunity to see real progress on reduced commute times and other essential items that can improve the quality of life for all many who depend on public transit. But here’s the catch; we need your support to help implement these much-needed changes. Will you pledge to support our work and a better transit system on May 1 – GiveNOLA Day 2018? You can make a pledge to donate here. You can schedule your donation at any point in the next week at our GiveNOLA Day page! Contributions will not process until May 1. It’s no secret that Ride is a small nonprofit, and events like GiveNOLA Day are an especially vital part of our annual budget. We hope you will consider us on May 1, and we appreciate your support! GiveNOLA Day is the New Orleans community’s premier annual online giving event. It’s hosted by the Greater New Orleans Foundation and last year donors like you gave almost $5 million collectively to nonprofits in the New Orleans region. Next PostNext St. Claude streetcar expansion?